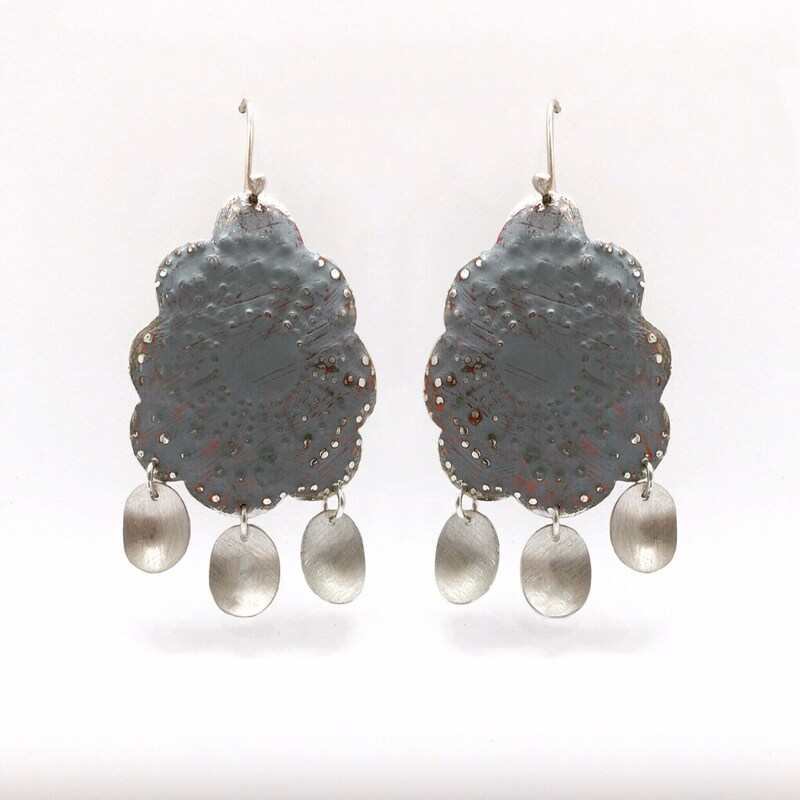 These "Brita earrings "were beautifully handcrafted using recycled Silver and enamel paint a blend of traditional and contemporary design . The design has traditional Scandinavian feel. Made from recycled sterling silver for your delicate.